Since 2006, October has been a month that the charity Oxfam dedicates to celebrating music in communities across the country, with the aim of raising money to fight poverty and suffering across the world. 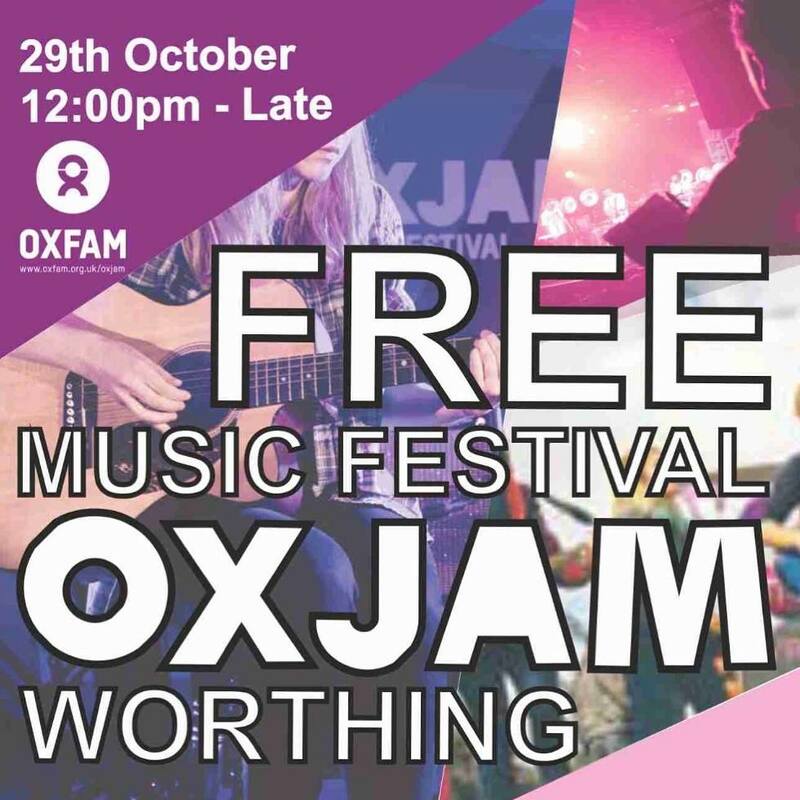 This month long celebration, called Oxjam, sees events take place across the country, and being a charitable bunch in Worthing, there’s one happening right here in our town. 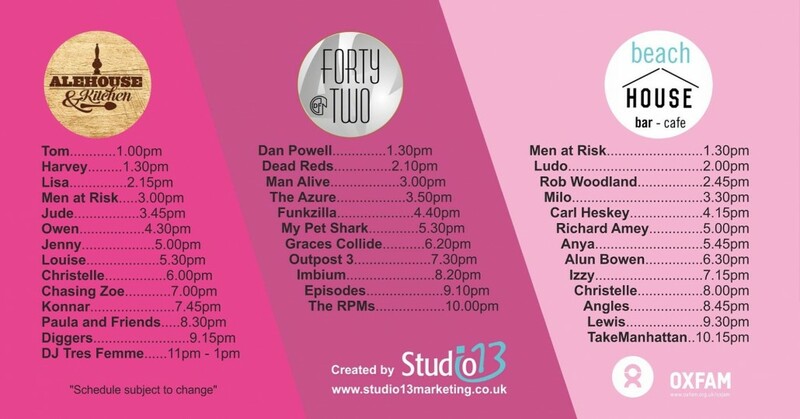 There’s three bars taking part, and The Beach House is proud to be a Worthing Oxjam venue! On 29th October, live acts will perform at The Beach House throughout the day. With our reputation for the popular Beach House Music Club on a Thursday, it seems apt that we’re the event’s acoustic venue. There will be plenty of opportunity to donate all you can to Oxfam whilst enjoying the tunes. Not only will there be the great music to take in, but there’ll also be our well stocked bar on hand to provide refreshment, as well as the kitchen to serve up tasty treats throughout the day.